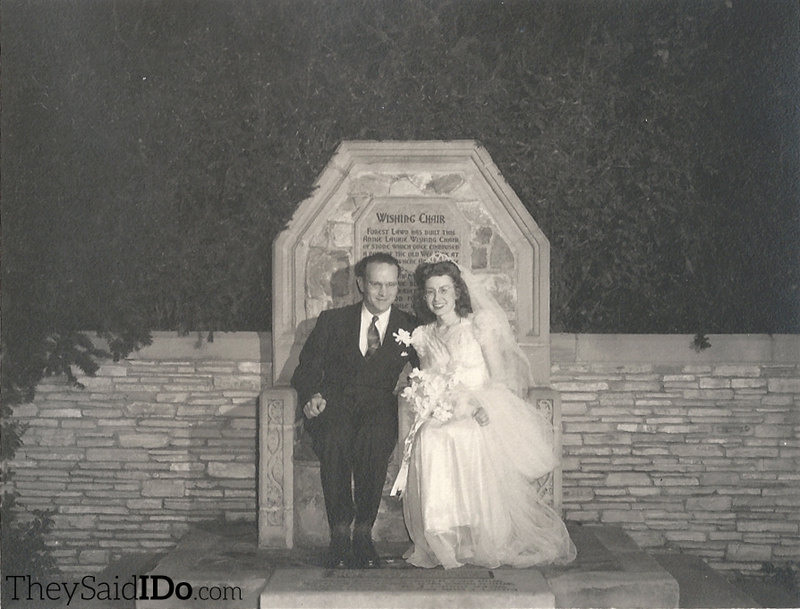 This couple was married at the Wee Kirk o’ the Heather located within Forest Lawn Memorial Park in Glendale, California. Built in 1929, it is a replica of 14th century church in Glencairn, Scotland. 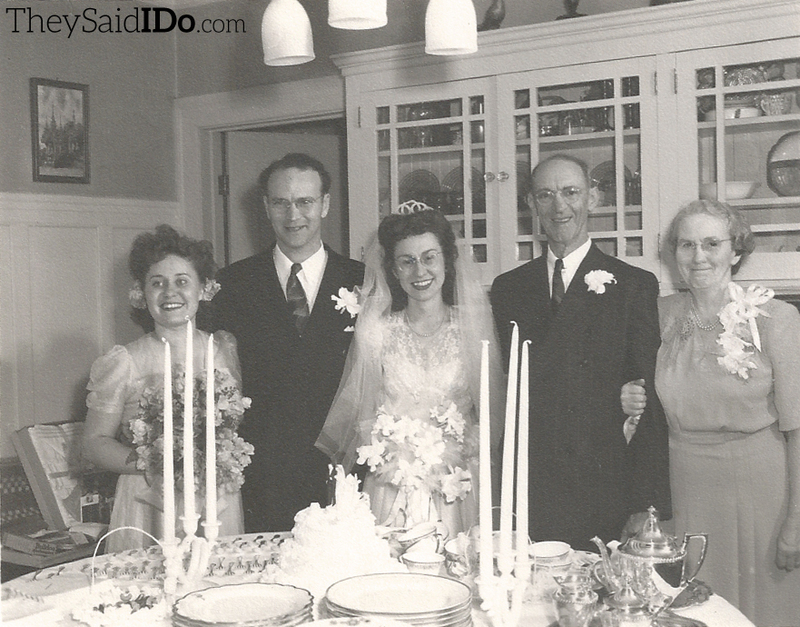 The photographs are undated but appear to be from the late 1940s. 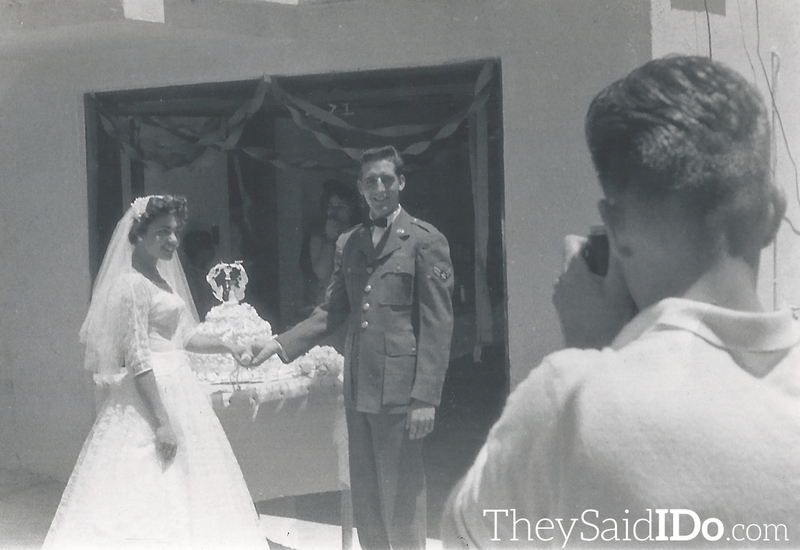 All of the captions are taken from notations written on the backs of the photos. The first step! Our dash from the church – and the photographer just “caught” us. If you look real closely – you can see the candelabra inside at the altar. Ronald Reagan and first wife, Jane Wyman were married at the Wee Kirk o’ the Heather in January of 1940 and were also photographed sitting in the Wishing Chair. 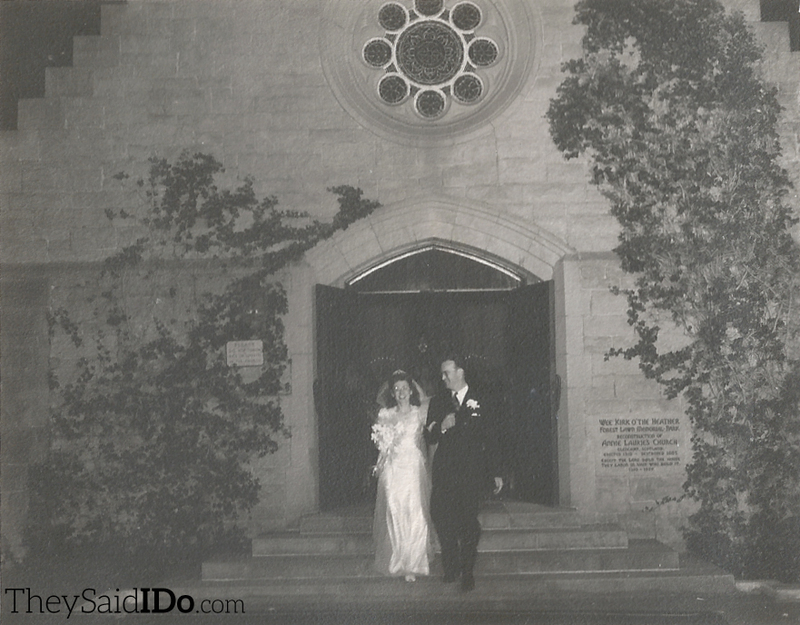 According to a 1989 article by the L.A. Times, “”In the ’40s, if a couple wasn’t married in the Wee Kirk, they just weren’t married.” This couple apparently did it in style! Ye Wedding Party again – at home for the reception – all mighty amused at sumpin’! 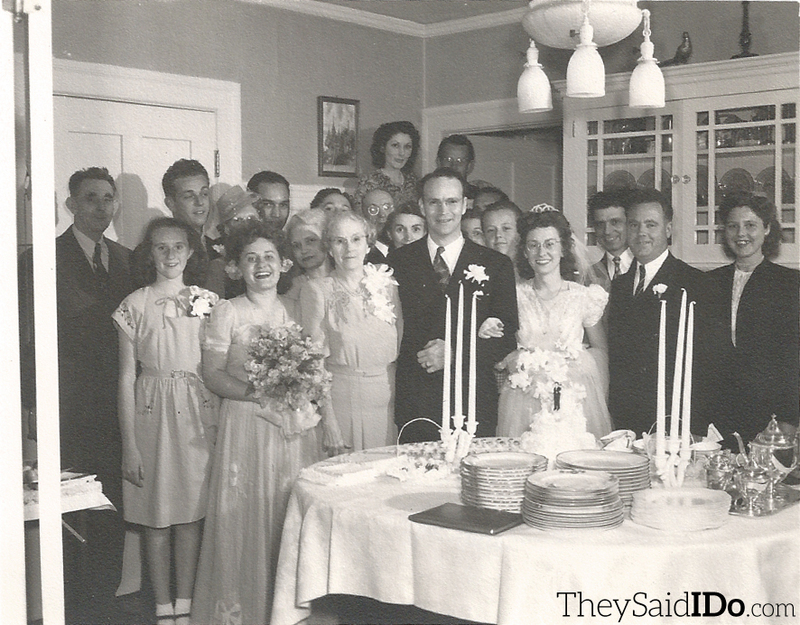 Some of the relatives and guests at the reception. Dr. MacKay – the minister is to my left. Our Swiss friend Freddie is smiling over his shoulder – third from the left is our Indian friend Charlie Roberts. Next to the minister is Lorraine Richards – who is a wonderful friend to me.